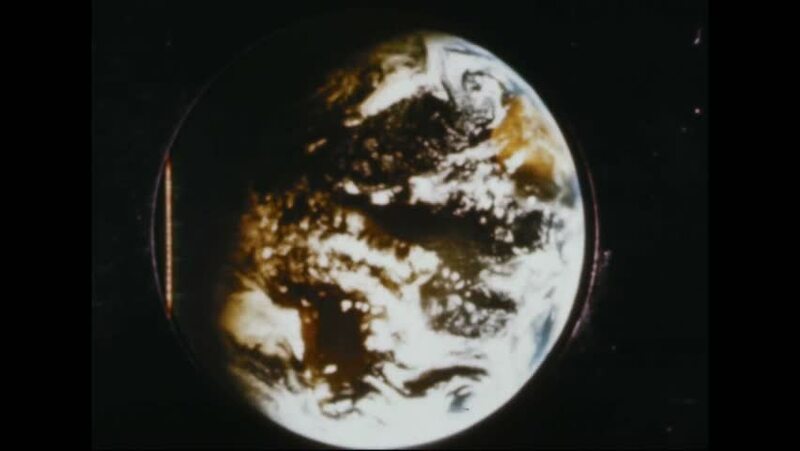 CIRCA 1967 - The Earth is photographed from the ATS-III spacecraft while it is positioned over Brazil. hd00:28UNITED STATES 1960s: Views of lunar surface / Pan across lunar surface / View of Earth from space / Time lapse of earth / Time lapse of storm from space. hd00:36CIRCA 1968 - The first telecast of the lunar surface is shown. hd00:40UNITED STATES, 1960s: View of planet and space through rocket window.